Today I officially began Month two of the Oxygen Challenge and today’s workout, kicked my booooooty. What else do I expect from Amanda “the booty queen” ha. 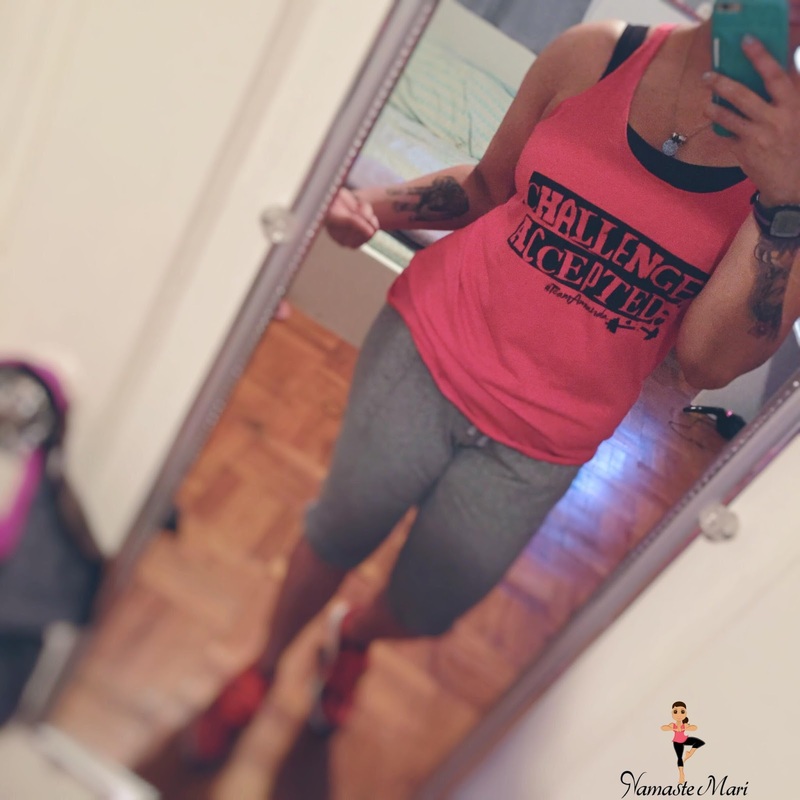 I made sure to wear my Challenge Accepted #TeamAmanda shirt today! This past weekend I took my Month 1 progress photos and at first I was disappointed but quickly my perception shifted. I am not perfect by any means but every single day I keep pushing myself and keep progressing. I compared the photos to my before ones and when I took off my “negativity goggles” I could see that I am evolving to my best me. Muscles that have been hidden are finally resurfacing and I feel ahhhmazing. Not only is my body changing but so is my frame of mind. I have been more conscious of the food I am putting into my body and can you believe that I have not ordered takeout this whole month?! That is huge for a New Yorker haha. We can make 1 Million excuses why we can’t do something…but we just need 1 Reason why you WANT to do it!